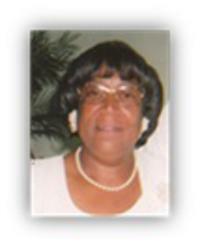 Reverend Joyce Daye Clayton is the Assistant Pastor at New Red Mountain Missionary Baptist under the leadership of Pastor, Reverend Dr. Larry Wilson. She was licensed to preach, March 31, 2009, and ordained on May 29, 2011, having received the Certificate of Ordination from The East Cedar Grove Missionary Baptist Association of NC, Inc.
Educationally, Reverend Clayton attended and received a Diploma, Ministries/Pastoral Education from Northern Piedmont Bible Institute, Seminary Extension, in 2014. She holds a Masters of Arts Degree and a Bachelors of Arts Degree in History from North Carolina Central University and pursued graduate studies beyond the Master’s Degree in History at The University of North Carolina at Chapel Hill (UNC-CH). Her professional career includes: serving as a high school teacher and chair of the Social Studies Department at Chapel Hill High School; an Assistant Dean in the College of Arts and Sciences & the General College and Lecturer/Director of the Upward Bound Program at the University of North Carolina at Chapel Hill. 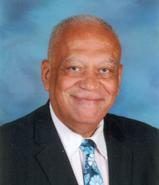 Ministries and mission activities of Reverend Clayton include the following: preaching at Nursing Homes and Rehabilitation Centers; serving at New Red Mountain as an assistant pastor, member of the Missionary Circle Ministry and the Personnel Committee, Chairperson of Constitution and Bylaws Committee, and serving in the East Cedar Grove Missionary Baptist Association as Editor of the ECGMBA Newsletter, Association Archivist and Secretary to the ECGMBA Pastor’s Fellowship Luncheon; and Fourth Vice President of the Woman’s Auxiliary of ECMBA and teacher of the New Disciples Class at New Red Mountain Missionary Baptist Church. Reverend Clayton has provided leadership as president of state and regional associations and served as a member of a national board of directors and a local school board. Reverend Clayton was married to her late husband, Burley McCoy Clayton, Jr. for 50 beautiful years. Lucious Alvin Clayton, married to Latrise Collins Clayton, is their only child. Reverend Clayton is the daughter of the late George and Alberta Parker Daye and the sister to William (W.C.) Daye and the late George Alvin Daye. She resides in Durham, North Carolina and loves to sing hymns and write poetry. Reverend Clayton views herself a humble servant striving to do God’s will being guided by the Holy Spirit. Everette was born and reared in the Bahama community located in Durham County. He is one of six siblings of the Rev. Everett Wallace Johnson, Sr., and the late Hermalene Parrish Johnson. He is also the step-son of Yvonne Johnson, and has one step-brother . He received the Bachelor of Science Degree from Fayetteville State University in Fayetteville, North Carolina and the Master of Science Degree in Adaptive Physical Education, with a certification in Supervision and Administration from North Carolina Central University in Durham, North Carolina. Everette begin his professional career as a Health and Physical Education teacher, basketball and track coach with the Durham Public Schools system. He worked as an Assistant Principal, and Principal at the middle and high school levels for Durham Public Schools, Granville County Schools, and Montgomery County Schools until his retirement from the state of North Carolina in 2010. Since his retirement he has worked as an Assistant Principal at Voyager Academy in Durham, North Carolina, and Westside Elementary School in Roanoke, VA. He is currently employed with Danville Public Schools, in Danville, VA, as a Principal of an elementary school. In his capacity of Principal, he has been instrumental in reducing the drop-out rate, reducing behavior incidents and increased school attendance at each level while employed with each district. Everette has received numerous awards and recognition, including Assistant Principal of the Year, and Outstanding Motivator for young African American men. As a member of New Red Mountain Missionary Baptist Church since childhood, Everette has served in many capacities to include: Chair of the Board of Deacons, President of the Gospel Choir, and Superintendent of Sunday school. He is a member of Mules, of Roanoke, VA., and he also holds membership in several professional organizations. Everette's community outreach is wide-ranging and he enjoys fishing and gardening. His favorite scripture is Psalms 34: 1-3- “I will bless the Lord at all times: his praise shall continually be in my mouth. My soul shall make her boast in the Lord: the humble shall hear thereof, and be glad. O magnify the Lord with me, and let us exalt his name together”. Everette is the husband of Dorothy Richardson-Johnson. They have been married July 7, 1991 and have three children, one son-in-law, and six grandchildren. Everette has answered the call as referenced in Isaiah 6:8, - And I heard the voice of the Lord saying, “Whom shall I send, and who will go for us?” Then I said, “Here am I! Send me.